Like the years before, two non-profit organizations, Epitaaf vzw and Grafzerkje vzw, joined efforts again in order to organize guided tours during the WDEC 2014. 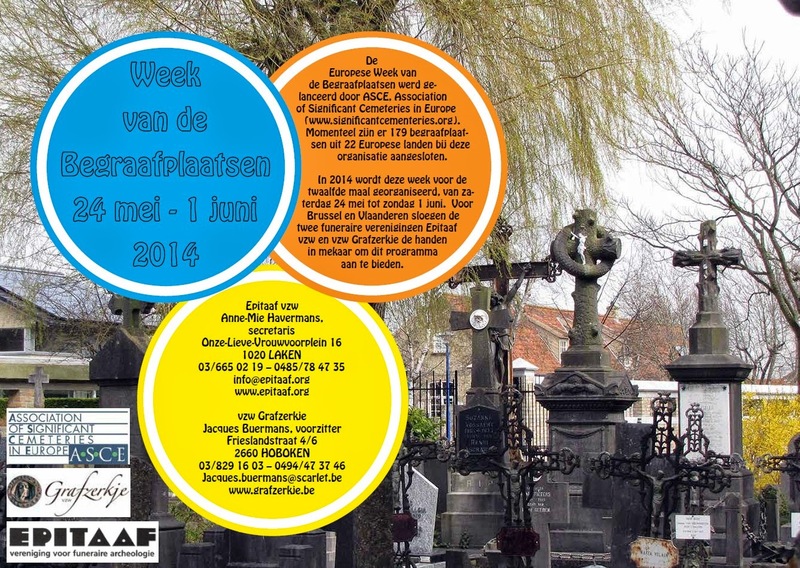 This year’s Week of discovering European Cemeteries (WDEC) will take place from 24th of May to 1st of June 2014. There will be guided tours in the province of Antwerp, East Flanders, Flemish Brabant, West Flanders and in Brussels. Some of the cities worth of visit are Hoboken, Borsbeek, Merksplas, Putte, Gent, Lokeren, Sint Niklaas, Dilbeek, Alveringem, Brugge and others. You can see the complete program (in Dutch) HERE.